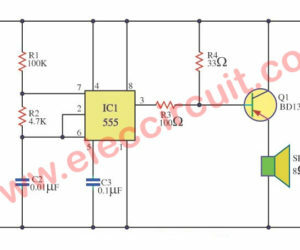 I like to build simple audio alarm circuit using transistors. 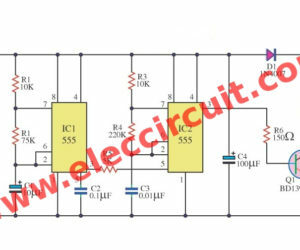 Although it is old circuit, it still useful. It uses just two transistors, other components. 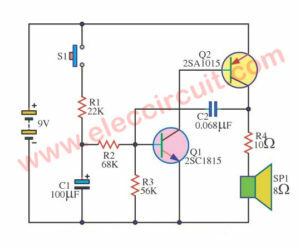 This is Simple 555 Alarm sound circuit, for beginner as buzzer sound. 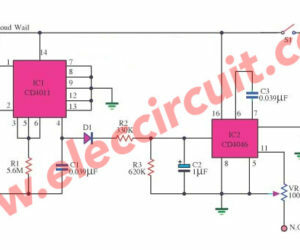 IC1 is pulse generator, to transistor PNP for boost current to speakers. Often drivers forgot to turn off lights when parking. They cannot start the machine, ran out battery. 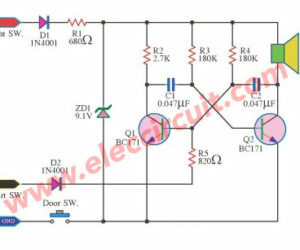 This Headlight Warning buzzer circuit can help.